These are not the best cars ever made. Rather, they are the cars that have shaped modern cars. I hope that you enjoy my list. Please share any corrections if you feel necessary. Ford Model T: This was the car that made the production line possible. It was also the car that made cars affordable to the American public. 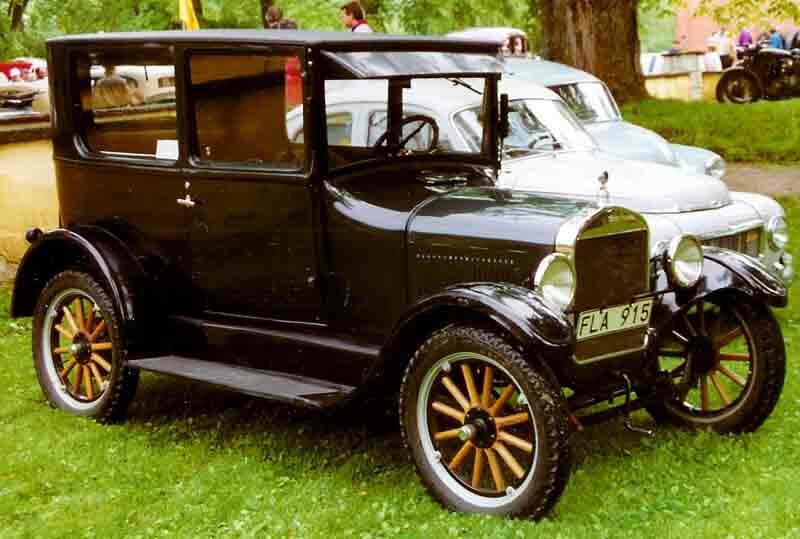 Ford produced well over 15 million of them before production ended in 1927. They are fairly simple to own, and they can keep up with city traffic if you want. With so many built, there are many clubs and associations for the Model T all over the country. Just look up “Ford Model T club <insert your area here>” on Google. I can practically guarantee you that there is at least one club that you can join if you are the new owner of a Model T. People drive them all over the place on tours. You can take one into Alaska if you so please. There are always plenty for sale anywhere between $10,000-40,000. If you want to daily drive one, all you need is a good arm to crank-start it, and some adjustments to the timing. Just retard the timing a big, be gentle with the gas, and you’ll have a car that gets up to 35 mph. That’s plenty good for most city driving. 1916 Cadillac Type 53: Every single modern car owes a lot to this Caddy. It was the first car EVER to come from the factory with an electric starter and a modern control layout, both of which we take for granted today. The Type 53 wasn’t popular with Americans or the world, mostly because of it’s price (about $3,000). However, the Austin Seven copied the Caddy and set the die for all cars to come. Yet, I still credit the Cadillac. 1932 Ford: This was the first affordable car available to the American public with a V-8 engine. It had a flathead V-8 making a whopping 85 horsepower. Today, that’s comparable to a car making 500 horsepower from a V-6 (not unheard of). Anyhow, it was affordable to some Americans. It became known as “The Deuce,” as did the third-generation Chevrolet Nova. It was the fastest affordable car of it’s day, which is why it was the escape vehicle of choice for Bonnie and Clyde. It’s unclear how many were made, but it’s estimated that well over 1.5 million were sold. Remember that Ford was selling these cars in 1932, right before the peak of the Great Depression! It became one of the most popular cars to hot rod. I want one, and we can call ourselves lucky that there are reproduction steel bodies, chassis (yes, that is plural and singular), and used engines aplenty. How’s that for cool? You can build your very own reproduction Deuce for about $20,000. It’s going to be so much more fun than that Corolla you’ve had your eye on. Willys/Bantam/Ford Jeep: WWII veterans say that the Jeep was the vehicle that won WWII. They are right. It can still embarrass most purpose-built vehicles on a dirt road or in mud. It was the first 4X4 to be sold to the American public en masse, and it proved to be popular. After WWII, Willys decided to market the Jeep as an alternative to a tractor for farmers. Chrysler still rakes in hundreds of millions on new Jeep Wranglers every year. It’s truly an iconic vehicle. 1948 MG TC: This little wood-framed British roadster is what allowed such amazing cars as the Lotus Elise, Mazda Miata, and even the mighty Shelby Cobra to be. Every single great American racing legend – Carroll Shelby, Phil Hill, Richie Ginther, and many others got their start in an MG TC. On a winding road, this little car that only made 55 horsepower and 64 lb-ft of torque would simply run away from any American car, regardless of power output. Much of what we hold dear as an automotive enthusiast was started by this little car. It’s influence on every single sports car from 1948 on is immeasurable. It’s still fast enough to embarrass a modern Chevy Camaro Z/28 on a windy road. That’s pretty damn fast for a car that makes 450 less horsepower. VW Beetle Type 1: It’s the single most-produced car in history. It’s an elegantly simple design that has stood the test of time better than most cars produced at the same time. It was the foundation for the legendary Porsche 356, Meyers Manx dune buggy, and VW Transporter bus. It was FWD, came as either a convertible or a coupe, had a tiny rear-mounted four-cylinder engine, and cost far less than any new American car on the road. It became extremely popular with people of all ages and demographics. Many new parents went out and bought a Beetle, and it would serve millions of families around the world faithfully for 20 years or more without major problems. Most new cars can’t say that. In the hippie movement, it became extremely popular. 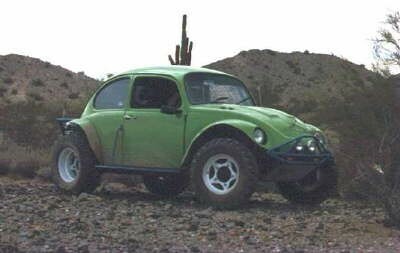 Once the off-roading community got their hands on one, the legendary Baja Bug was born. It is still fast enough to keep pace with a modern Trophy Truck in the horrible dirt roads of Baja, or the sand dunes of Pismo Beach. Almost every desert town in the world will have at least several Baja Bugs running around. It’s fast, sturdy, and capable, yet can be driven around town without complaining. And the best part is you can build yourself one for about $5,000! That’s not including a starter vehicle, by the way! My grandparents owned one. You probably know somebody who’s owned one. 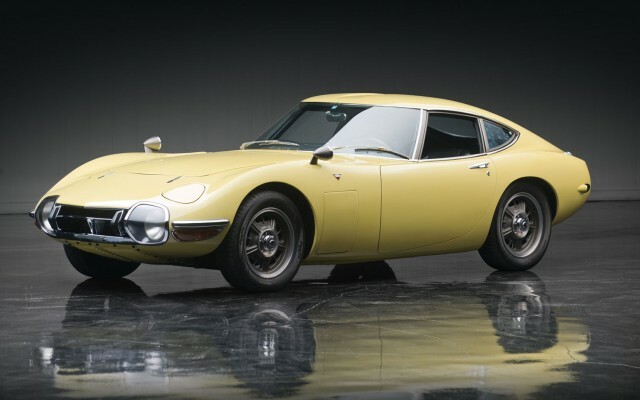 Toyota 2000GT: This was the car that put the Japanese automotive industry on notice with the world. It was a more expensive alternative to the Jaguar E-Type, Chevrolet Corvette, Ford Thunderbird, Porsche 911, and the like. It’s achingly gorgeous, and only a handful were built. It’s also achingly expensive. Toyota proved that they could hang with whatever Europe happened to build. James Bond drove one. Lamborghini Miura: It’s not the quintessential Lamborghini – that goes to the equally-amazing Countach, but it set the standard for supercars. It came around because Ferrucio Lamborghini wanted to build a better Ferrari. When Lamborghini was going to debut the Miura concept car at the Geneva Motor Show in 1965, they didn’t even have a body! They had a chassis with a V-12, a transmission, and wheels. That was it. However, the Miura looks absolutely stunning. It’s one of the most beautiful cars ever built, and every single supercar owes a lot to the Lamborghini Miura. Citroen DS: When it debuted in 1955, it was the most technologically-advanced car in the world. It had hydraulic suspension, a streamlined fiberglass body shell, four wheel disc brakes, a twin-cam V6, and many other technological innovations. 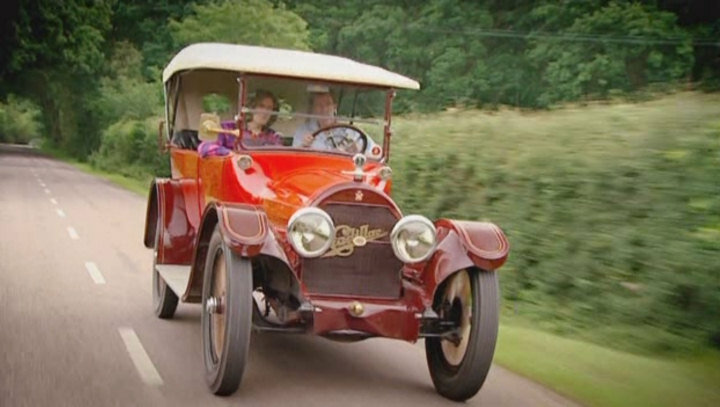 It was one of the first truly modern cars. One can compare it to the Tesla Model S. That’s how revolutionary it was. 1955-1957 Chevrolet 210/Bel Air: The Tri-Five Chevrolet’s are some of the most beautiful cars ever produced. My personal favorite is the 1957 Chevrolet Bel Air coupe. 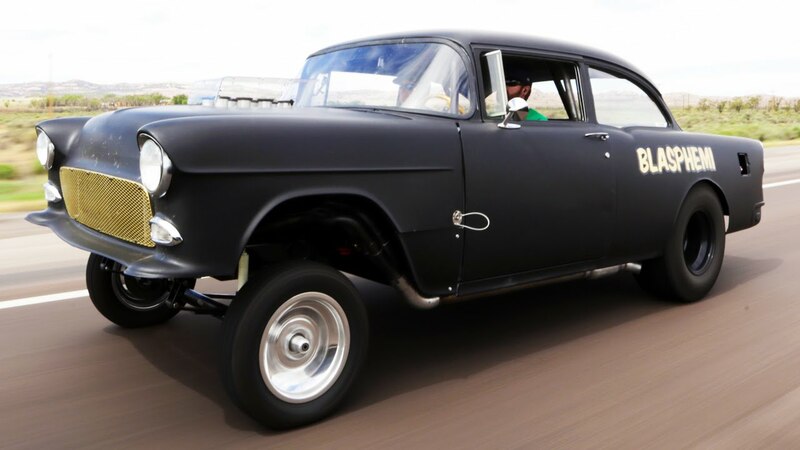 The 1955 Chevy became forever immortalized with Two Lane Blacktop and American Graffiti. Yes, the sinister ’55 is the same car in both movies! The 1955 Chevrolet introduced the revolutionary Chevrolet small-block (Mouse motor) V-8 to the world. The 1957 Chevy Bel Air with the 283 cubic-inch V-8 and Rochester mechanical fuel injection became legendary on NASCAR tracks and dragstrips around the country. It was as fast the Jaguar E-Type 10 years later. I’m still wanting one! Austin Mini: Alec Issigonis sketched it on a bar napkin. He never knew that it would become one of the most popular vehicles of the 20th century. Let’s forget that it’s a cultural icon for a moment. It was the first FWD car to come with a transversely-mounted engine (the engine was mounted sideways), which means that it’s the template for most FWD cars on the road today. It became a motorsports icon in everything from endurance racing to rally racing. It also became iconic in several movies – The Italian Job, The Bourne Identity, Mr. Bean, and Goldmember. It’s also a major cultural icon. 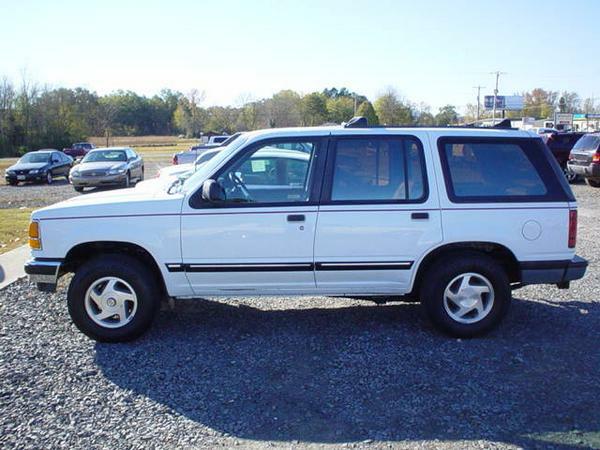 Ford Explorer: This was the vehicle that kicked off the SUV craze of the 1990s-today. 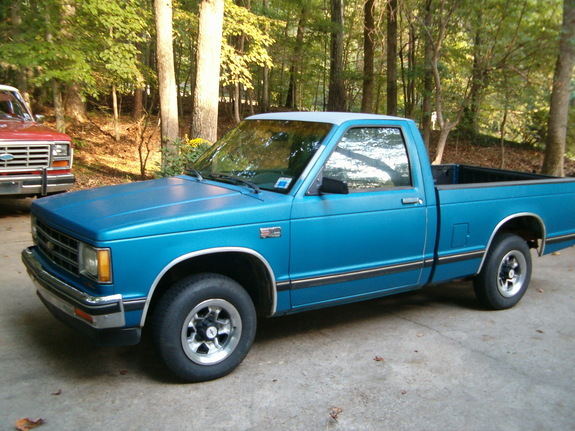 It was based off of the lowly Ranger pickup, but had a comfortable interior and the second generation had good looks. It’s still a best-seller today. It’s popular with the off-road community because it’s a Ranger with more space for people. My parents owned one. You probably know somebody who’s owned one. Shelby Cobra: Yeah it’s an obvious one for this list. 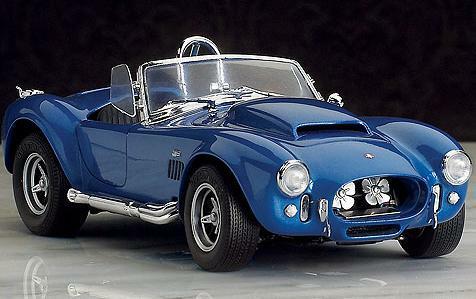 Carroll Shelby took a British roadster, and put a small-block Ford motor from the Mustang into it. Then, he went hog-wild and put a big-block Ford into it. That catapulted the Shelby Cobra into automotive fame. Anybody who knows something about cars knows of the Shelby Cobra. It could hang with anything. It could beat a Chevrolet Corvette with the coveted L88 big-block V-8 in the curves and straightaways. It dominated endurance and road racing for a glorious 3 years before Shelby stopped production of it. It also dominated the NHRA Pro Stock drag racing class for a few years. Today, there are at least 20 different companies who will sell you a Cobra replica. Get a Factory Five replica. It’s Shelby of North America licensed, and it comes with modern mechanical parts, yet can still hang with a modern hypercar. Chevrolet El Camino: In it’s first generation, it was quite a looker. Chevy didn’t sell too terribly many of the Impala-based ute, but you’ve probably seen a few driving around your town/city. The second generation proved to be much more popular. 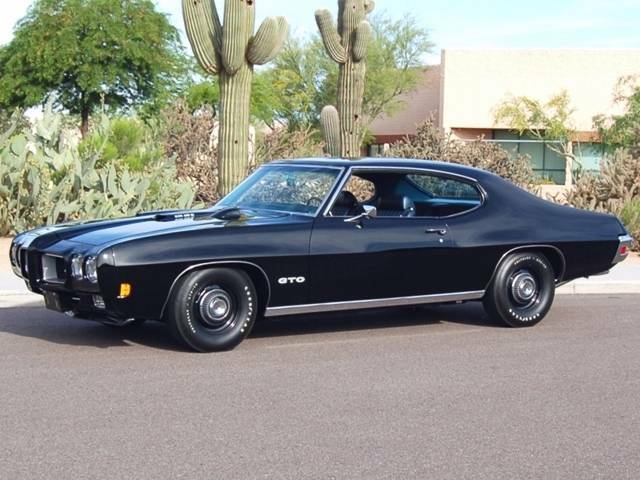 It was based off of the massively popular Chevelle, and you could get one with the rare, coveted LS6 V-8. I remember reading an article about an owner of an LS6 Elco (a nickname for the El Camino), and he said that he has to drive it around with sandbags in the bed to keep it from spinning out. That’s what happens when you have a massively-underrated 450 horsepower and no weight over the rear tires. If you could get it to hook up, it would go through the 1/4 mile in 13 seconds flat at 125 mph. That’s about as fast as a modern sports car. I’ve heard driving one isn’t any different than driving a Chevelle, except for throttle modulation. Flooring it from a stop, even with the still-powerful 327 cubic-inch V-8 will give a glorious burnout. I want one. 1968-1970 Dodge Charger/Charger 500/Daytona: The second-generation Dodge Charger is one of the most beautiful cars ever built. It’s got muscular elegance. It had curvy “Coke Bottle” styling, and a plethora of engine choices. The base engine was the “poly” 318 cubic-inch small-block V-8 that stayed in production in one form or another from 1959-2004. The next step up was the 383 cubic-inch “Commando” big-block V-8. After that, it was the 440 “Super Commando” big-block V-8. One rung above that was the 440 Six Pack – a 440 with three two-barrel Holley carburetors. The top of the ladder was the mighty 426 HEMI “Elephant Motor” big-block V-8. The Charger 500 was designed for NASCAR, so it had a rear window flush with the body, along with other small aero modifications. The Daytona was truly legendary. Only 503 were sold to the general public, only 70 of which had the 426 HEMI. The rest had the 440 Six Pack. It was designed for NASCAR superspeedways, and it truly dominated. It looked comical with it’s 19-inch long nose cone and nearly two-foot tall rear wing. The only reason the wing was so high is that anything shorter and the trunk wouldn’t close! The Charger was catapulted into fame by The Dukes of Hazzard for one generation, and for the millenials, they were captivated by the supercharged 1968 Charger used in Fast & Furious. 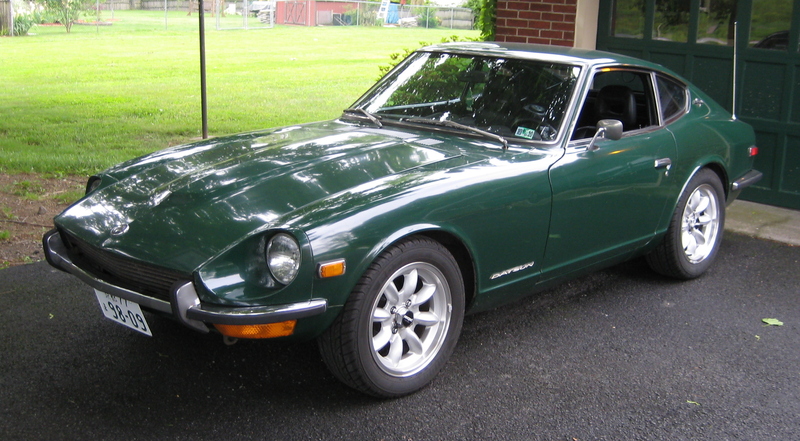 Datsun 240Z: This little Japanese sports car wasn’t a smashing success, but it certainly left it’s mark on sports cars. It was light, looked drop-dead gorgeous, had a reliable, powerful engine, and a five-speed manual transmission. Very few cars at the time had a five-speed. All of that combined meant that it was a serious threat on a windy road. Today, they are becoming collector cars, which is a shame, as they are built to be driven. That’s not to be said that you can’t find a cheap one – you still can. Hot rodders who are enamored by Japanese cars, but love the power of an American V-8 put a Chevy small-block V-8 and some suspension bits in, and have one hell of a ride. My grandparents and dad owned one. Audi Quattro: This AWD notchback with a turbocharged 5-cylinder engine was so successful on the rally circuit that AWD was banned from the sport for about 10 years. Stock, it’s not at all reliable (except for the first two years of production), but upgrading the engine internals will give you a strong, reliable, fast, and cool daily driver. It’s truly an all-weather car. I chose this car because of the impact that it had on rallycross and rally racing. Any car with AWD past 1985 would have been much worse if it weren’t for the Audi Quattro. My uncle owned one. He should have kept it and given it to me. Ford Mustang: This was the car that started the ponycar craze. No matter how much Ford hypes it as a muscle car (and Chevy with the Camaro), it IS NOT and never will be. It is a pony car. The Dodge Challenger is a muscle car. Sorry Ford, but I’m just stating the truth. Don’t shoot the messenger. That being said, Ford introduced a whole new type of car to America. Buying a Mustang with the base six-cylinder engine meant that you were carefree but had to watch your cash. Getting it with the V-8 meant that you were carefree, but who cared about money – you only live once! Getting it as a convertible only reinforced that. The Shelby GT350 Mustang of 1965 was part of a deal with Hertz where you could rent the car on Friday, drive it to the racetrack on Saturday, race and win, go again on Sunday and win, and then drive it back to the rental lot. It was somewhat streetable, but it really did well on the racetrack. Carroll Shelby originally didn’t want to do it – he told Lee Iaccoca that “Lee, you can’t make a racehorse out of a mule.” Yet that so-called mule became a massive racing success. It’s still in production 50 years later. Many American moms went from a station wagon to a Mustang and never looked back. Pontiac GTO: Originally offered as a package on the mid-size Tempest in 1963, the GTO took the thundering 389 cubic-inch V-8 from the Le Mans and shoved it into the considerably smaller Tempest. It was a smashing success, so Pontiac decided to turn it into it’s own model in 1964. It was much more popular that way, and the ultimate model was the 1969 Judge Ram Air IV. It came with the then-new 455 cubic-inch V-8 and a functional Ram Air hood (the Ram Air package came in four stages), a Muncie M-22 “Rock Crusher” transmission, and bodywork that let you know that you really were king of the street. It was truly stunning, especially in green. It went dormant for 20+ years before appearing as a rebadged Holden Monaro in the US. It wasn’t very popular. It’s probably because Ford launched the retro-styled S197-generation Mustang right around the same time. The 2004-2006 GTO looked nothing at all like any other GTO. It didn’t look very good. Nowadays, the modern “Goat” is popular with hot rodders who want to have all of the modern conveniences and glorious power. Some even take the body off of the GTO and put on a classic car’s body. Voila, you have a car that looks like a classic, but handles and drives like a new car. Plus, they are easy to put bigger engines in. Drifters are starting to find them. Beware. Lexus LS400: This big Lexus was the car that sent Germany scrambling back to the drawing board. The LS400 competed with the Mercedes-Benz S-Class and BMW 7-Series. The German cars were stodgy cruisers that were heavy, large beasts on the street, but smooth on the highway. The Lexus took that trademark Japanese agility and feeling of being a smaller car, threw in a buttery-smooth engine and transmission (the ads showed a champagne flute on the hood while the engine revved. The champagne never overflowed – or came close to that! ), a sumptuous leather interior, and made it a fun car to drive. 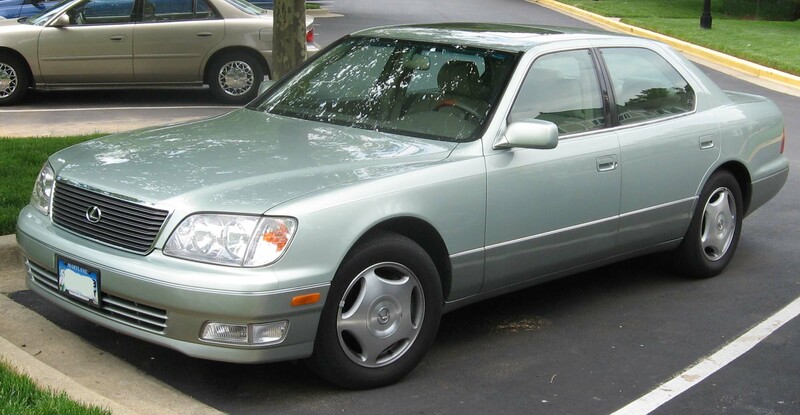 Lexus kept it in production from 1989-2000 in one basic form or another. It sold well, and is a completely bulletproof car in terms of reliability. Chevrolet S-10: OK, I am a bit biased on this, but hear me out. The Chevrolet S-10 replaced the dismal LUV pickups of the 1970s in 1982. It came with an underpowered 4-cylinder engine or a more powerful 2.8-liter V-6. In 1988, Chevy added their new 4.3-liter V-6 to the S-10. It literally doubled the towing and hauling capacity, as well as making it a far more enjoyable truck to drive. My S-10 is a 1989 Tahoe model. That means that it was top of the line. It has a cloth interior, an AM/FM radio, air conditioning, and it has fuel injection (the 1988 model had a carburetor). You could get it as a regular cab or an extended cab. Bed sizes were a 5-foot bed or a 6.5-foot bed. That’s not huge, but for somebody in a crowded city who needs a pickup, it’s perfect. You could get it in 2WD or 4WD. Mine is 2WD. It was wildly successful, and you can still see a lot on the road. Some people are taking modern Chevy LS3 E-Rod engines (smog-legal V-8’s) and stuffing them into an S-10. They’re quite the sleeper. 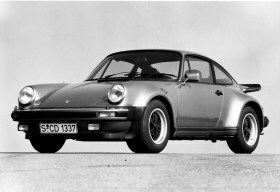 Porsche 911 Turbo: When it first debuted in 1975, it was a total animal of a car. Lift off of the gas going into a corner, and you’d hit the guardrail with the backside of the car. You had to keep your foot in it. It made an underrated 276 horsepower (think closer to 350), had no ABS, a clutch that was so stiff that some had to literally push their leg down to depress the clutch, and a 5-speed manual transmission. It was a total monster of a car that dominated the racing circuits, but was completely and totally unstreetable. But, put one on a windy canyon road, modulate the throttle, and you had a recipe for speed. Porsche still makes it. However, it now makes a ridiculous 520 horsepower, and is truly the ultimate all-weather supercar. Ford GT40: This was the car that dominated endurance racing during the 1960’s. It was the result of Enzo Ferrari refusing to sell his company to Ford in 1964. Henry Ford II decided to beat Enzo Ferrari at his own game on his own turf. Talk about owning a bully. The GT40 was aerodynamic, muscular-looking, and was built for racing. Ford built about 20-40 for the street (it’s unclear how many). The first models came with a Shelby-tuned 289 cubic-inch V-8 that made 300 horsepower via a tri-power (three two-barrel carburetor) setup and forged internals and an Isky cam. This engine was so durable that when Ford disassembled the engine after the season was over, it looked brand-new. Later models came with Ford’s mighty 427 cubic-inch FE-Series “Cammer” engine. This engine was the same one in the Shelby Cobra. It made about 500 horsepower. Both engines were mated to a four-speed manual. The GT40 simply dominated the 24 Hours of Le Mans and 24 Hours of Nurburgring. It was insanely fast, and it could be heard from over a mile away. It beat Ferrari at their own game for years, before the FIA changed the rules, and both Ferrari and Ford had to comply. Ford pulled out of Le Mans endurance racing for 20+ years and let Ferrari dominate. Yes, that is a young Harrison Ford standing next to one of the most iconic hot rods ever. It’s a 1932 Ford Hi-Boy (the body was lifted off of the frame so the frame could be tweaked). It has a Chevy 283 cubic-inch small-block V-8 with crackling sidepipes. This was the car that made me appreciate the little deuce coupe. This is a fuelie 1957 Chevy Bel Air. It became known as the “Black Widow” because it only came in black with white tape stripes, a black-and-white interior, and the red center caps on the wheels. This is probably the ultimate Shelby Cobra. It’s called the “Super Snake” because it has twin superchargers on top of an already-powerful engine. Bill Cosby almost bought one, but took it on a test drive and thought he was going to die. Carroll Shelby bought it. Only two were made, but it was incredibly fast. It’s rumored that in testing the car hit 210 mph – in 1966! To me, it’s the ultimate factory hot rod. This is a 1969 Dodge Daytona replica made by a host of the /DRIVE Network, Mike Musto. It’s one of my favorite cars ever. He took a 1969 Charger and turned it into a Daytona. It’s the ultimate cross-country cruiser. Just looking at it sends shivers down my spine. The only stock part about this Mustang is the roof, A-pillar, and C-pillar. 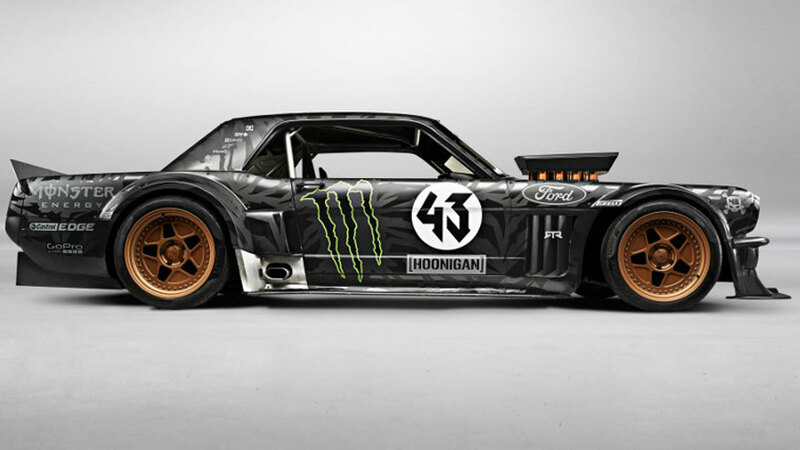 It’s the latest creation from the brilliantly mad folks at RTR and Hoonigan. Ken Block had it built. It’s got a stroked NASCAR-spec engine that makes 850 horsepower that goes to all four wheels. That’s right, this car is AWD. You need to watch “Gymkhana 7” if you haven’t already. It’s simply amazing. I would add the Mazda 3. Only great people own them, wouldn’t you say? Especially gray ones! I would agree with you on that! Candler, this is truly one of your more informative blogs. By the way, we owned a ’52 Volkswagon beetle which we bought during the Korean War when we were stationed in Austria. We came back to L.A. In 1956. We drove that Beetle for many years and loved every minute. It had the original “machs nix stick”. Which means makes no difference. Grandma, I’m glad that you found it to be informative. I read all of the comments, and I’m able to see what my readers like and don’t like. I will do something in the spring like this. I’m glad that you enjoyed the VW Bug – so did many other Americans. You make the case for each car on the list -even the S10! Interesting tour through automotive memory lane. I liked the corresponding pics. I’m glad you like the post and pictures. What Era of Motorsport Was the Best?